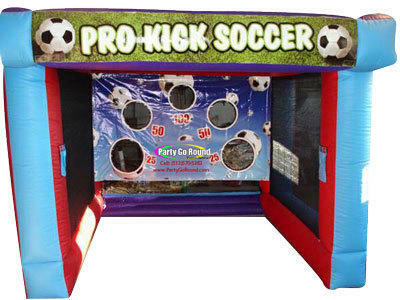 The inflatable soccer shootout is an awesome addition to any sports themed party. The object of the game is to kick the soccer balls into targets on the inflatable. You soccer fans will love this game.